Look at this image carefully. Found this today in the NYTimes and had to share. 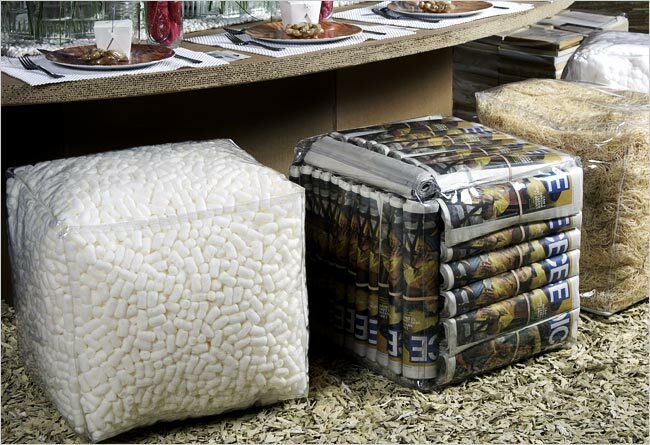 Designers for Karastan used vinyl storage bags filled with recycled materials as seating at the recent Dining By Design event in New York. Is this idea a hit or a diss? Would you try this at home? What would you you fill yours with? Variegated Launches *New* Etsy Store!